Join us for the inaugural Rock ‘n’ Ride, benefiting St. Jude Children’s Research Hospital on Saturday, October 27th. 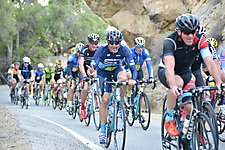 Supported by Trek of Westlake Village, the ride will start and finish at the beautiful Stonehaus in Westlake Village. 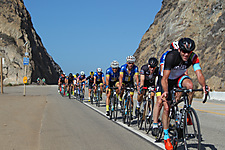 The ride will cover 20 miles of scenic roads and is suitable for any level rider. Lunch will be provided after the ride at Stonehaus. 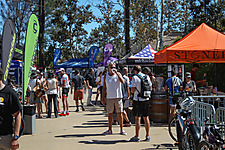 Your registration to the easy paced ride includes access to the start-studded Medlock-Krieger All-Star Concert on Sunday, October 28th. Scott Medlock, an internationally renowned sports artist, and Robby Krieger, legendary guitarist for The Doors, will bring together rock & roll legends to perform for this incredible benefit concert. Guests will enjoy the breathtaking backdrop at Saddlerock Ranch and an evening of gourmet tastings from Mastro’s Steakhouse, Westlake Village Inn Catering & Events, Duke’s Malibu, Woodpeckers Backyard BBQ, Malibu Family Wines, premier cocktails by Asombroso Tequila and Tito's Handmade Vodka and unforgettable performances during the All-Star Concert featuring Robby Krieger among other legendary artists. Register for the ride HERE. For questions about the Rock 'n' Ride, please email James Passantino at westlake@sbcglobal.net. Copyright © Scott Medlock - Robby Kreiger Invitational. All rights reserved.